700 sq. m next to Toowoomba Base Hospital. 1km to CBD. With one inside toilet and one outside toilet. with full furniture e.g. beds, refrigerator, washing machine, tables etc. Internet is included but but electricity is not. Kitchen and laundry is fully furnished but there's space in living room and office for extra furniture if you have things to bring, i.e. desk, couch, television etc. Room is unfurnished except for wardrobe installed by real estate. Bed in photo has been removed already by departing housemate. NBN internet already installed. House has 3 bedrooms in total so we could consider advertising in the future for a 3rd housemate to reduce the rent and bills. Nice neighborhood to live in, 2 mins walk to queens park and cafes and 5/10mins to town centre. Internet and Netflix are included in the rent. The main living area is air conditioned. Master bedroom available with en-suite. 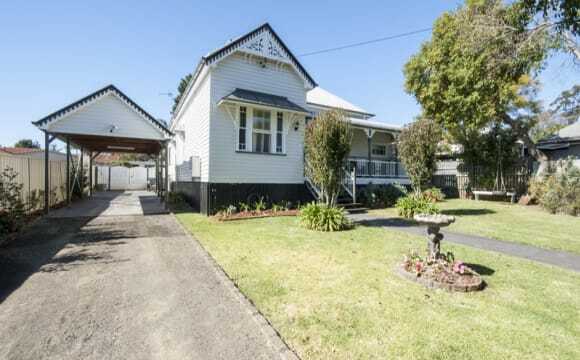 Central location, close to parks, CBD, bus stop &amp; cycle-way. Unfurnished bedroom. Partially furnished living area. Can be inclusive of bills, weekly rent would then be $205. (Internet, water, gas, electricity). Bond is 4 weeks rent $700. 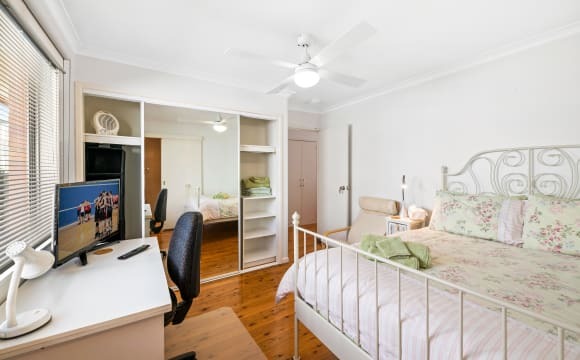 We have a fully furnished air conditioning en-suite single room in South Toowoomba. New carpet job being laid. This property is close to Toowoomba Hospital ( Walking 5 to 6 minutes) and 4 minutes drive to City. This is a non-smoking property and recreational drugs are strictly prohibited. This is the place for people who want a quiet and clean areas for themselves to rest after work or study. Also it is very suitable for people doing shift work. We are only after Mature students or professionals. We have 2 professional living in the house, one is a nurse and one is an Engineer. ROOM INCLUDE: - Rooms Can be Locked for Security; Air conditioning with individual meter; 23 inch flat screen TV with built in DVD player (VGA and audio cables provide); 32" TV, blinds, a study desk and chair, double bed and mattress, all Manchester, linen, blanket, big built in wardrobe, table lamp, floor lamp, power board, note board, garbage bin and laundry basket. COMMON AREA: Fridges, dining items, microwave, cook tops, rice cooker, convection oven, toaster, kettle. Big sofa and washing machine. We are looking for - Quiet, clean and mature person - People above 30 years of age with experience in shared house - Mature and independent students - Employed persons ( min 30 hours p/w ) - Skilled migrants on working - Self- funded and/or business professionals Our share house is NOT suitable for - Couples or children - People like party - People has friends sleep over night (This is due to security reason) - People have gender or races issue Rent is $ 195 for TWELVE months lease $ 200 for NINE months lease $ 205 for SIX months lease RENT INCLUDES: - Reasonable usage of electricity in the common area and water -	Wi-Fi internet (Telstra NBN). 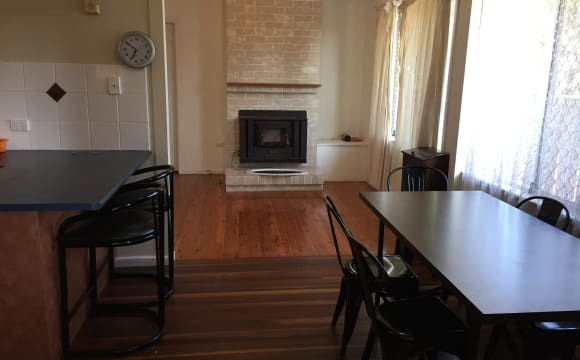 -	Fortnightly house cleaning of the common area and garden maintenance -	Dish and hand washing liquid -	Rubbish bin liner Proper lease agreement and house rules need to be completed. 4 weeks bond (Calculate base on the weekly rent) and two weeks rent in advance. Tenant has to pay the electricity bill for the air conditioning which has individual meter in their own room. Give us a call and we'd be happy to show you around. Look forward to hearing from you. You can afford to dwell well! Trendy East Toowoomba - about 2 min walk to Tafe, BP,Bakery, and Raw Sugar Cafe. 5min walk to Queens Park and then Toowoomba CBD. An absolute Commuter’s dream. Back deck on House for relaxing and unwinding while sipping a hot coffee. New kitchen with clean oven and stove. House has some furniture and flexible with bedroom furniture. Plenty of storage in the room. We can supply a Queen bed if needed. Shared bathroom with one other. Love where you live attitude Wanted! Quiet location away from busy roads and undercover parking included. 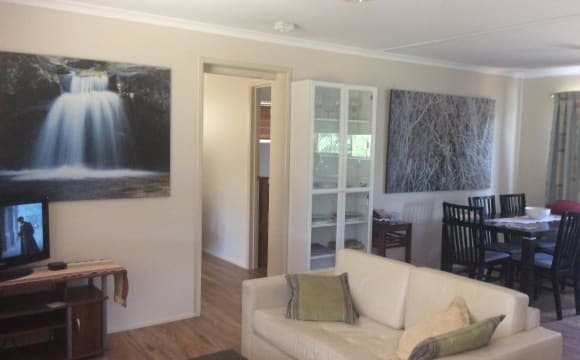 Quiet furnished house with off road parking close to Toowoomba CBD. Great kitchen and huge living areas with outdoor deck to chill out after work. Close to trendy small cafes and Queens Park only a 5 minute walk. Free Internet is included in rent. The property is a double story duplex. Open plan living with three bedrooms, two bathrooms (+ downstairs seperate toilet), seperate laundry and covered outdoor area. Ducted air conditioning throughout. 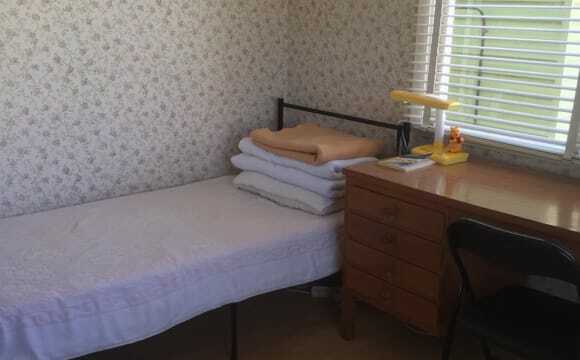 The room for rent is upstairs (unfurnished) and the bathroom is shared with one other flatmate. The property is in a perfect location- walking distance to Queens Park and just a short drive to Grand Central. Lotus Cottage has been renovated recently. 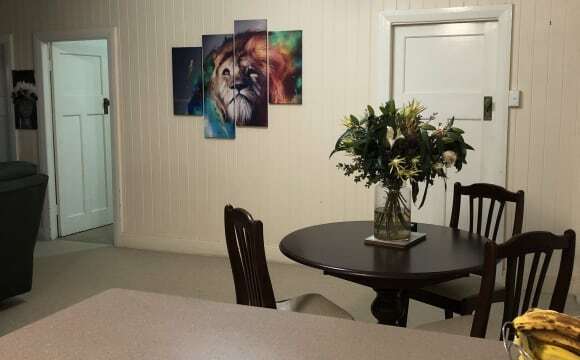 If you are looking for a tidy and clean place to stay in Toowoomba then look no further. We have a single room (Room1：175/week) and a double room (Room2: $200/week) , a bigger double room for rent (Room3: $220/week）. If you are a couple, double room is $230/240 week. The price include electricity, water and unlimited NBN wifi. The Room includes : Air conditioning, Blinds, Quality Bed, Blanket, Pillow, Bed Sheets. Computer Desk, Chair, Lamp, Bedside Table, Build-in Wardrobe. Common Area includes : Gas Cook-Top, Oven, Microwave, Kettle, Toaster, Dinning Table, Chairs, Sofa, Dinning Items, Cooking Utensils, Cooking Needs, Washing Machine. Fridge The House is Suitable for : Full Time Study or Full Time Working tenants. Only 5 minutes' drive to the CBD Toowoomba. Parks, restaurants and shopping malls are within close proximity with a number of these only a five minute walk away (7-11, Rose Garden, etc.). The house is located in a very quiet and leafy suburb. 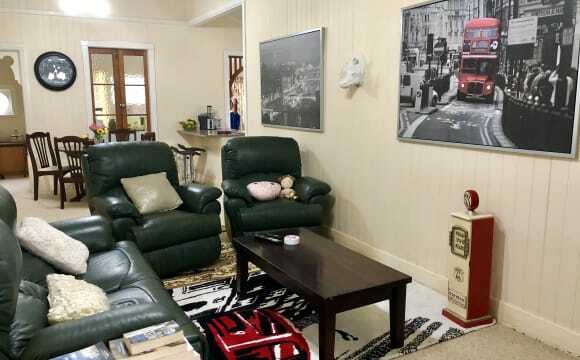 Close to everything, CBD, schools, hospitals, shopping centres etc. You will have the parking space in our garage. Front and back gardens are looked after by owner. Sorry not suitable for pets. Will add you to the lease, so 4 weeks bond + 2 weeks advance would be needed. Fully renovated Queenslander style house complete with ducted air conditioning, large fully fenced yard with security gates out front. All electricity, gas, unlimited internet and gardening included in rent. Room is available furnished or unfurnished and has massive built in wardrobes. Common living areas are all furnished. Shared Study. Toowoomba City Golf course and Driving Range across the road. No need for a car as everything is within easy walk . Nice clean place with secure parking and comfortable beds. NBN included. The house is at the top of the street and abuts a large park. The area is quiet, and birds are abundant I have fibre-to-the-premises NBN (41.8 Mbps download, 14.0 Mbps upload; should handle multiple devices streaming HD videos at the same time). Heaters and a wood-burning stove keep the house warm in winter. You will have your own bathroom, and kitchenette with fridge, cooker and sink. The bedroom is carpeted and the walls and ceiling are made of wood. The house is reminiscent of a ski-lodge. No smokers or pets. A pretty new home. Tiled floor in the kitchen, living and dining room, and also in the halls, bathroom and toilets. All three bedrooms are carpeted. Air conditioned. Including a small private patio. Wifi and Netflix are available at an additional cost to the rent. My room will have an ensuite which means, you will have your own bathroom. The house is an older style home with beautiful views of the surrounding mountains and valley. It has 2 living areas, 3 bedrooms with 1 bathroom and a separate toilet. The home is fully furnished and kept in a good tidy condition. The room is supplied with a wardrobe and can be either unfurnished or furnished with Queen bed, bedside table and dresser (2small draws) with room for additional furniture ie. chest of draws. One bedroom is also set up as a office that you are welcome to use. 2 min to the local supermarket and 8 min to cbd. $180 p/wk including bills internet/power/water within reason. No pets please, as there is a dog already Ideal tenant must be a non-smoker, reliable with on time rental payments, tidy, considerate of other housemates, willing to do your share of general house cleaning and likes inside dogs. When replying to this ad please give some brief details about yourself. Preference will be given to individuals who are employed full time or studying with adequate financial support. Nothing beats living at the top of the range in Rangeville! Very quiet and yet close to everything. Reverse-cycle air-conditioning included in rent. Private picturesque views from your bedroom and lounge windows. Your own private courtyard with clothesline. Your own private laundry area indoors. Designated (shaded) parking spot at front of house. Low maintenance with all the amenities. Although no oven or grill, a microwave and fridge are provided in the kitchenette. Compact lounge area with free-to-air TV. UNLIMITED WI-FI. The front of house is rented to quiet respectful, but liberal-minded, individuals, aged 25 - 37. SMOKING IS PERMITTED OUTDOORS.